Whether you are a novice or a veteran traveler, the joy of taking a trip at your leisure is the most rewarding experience in the world. The thrill of being free, the spontaneity to do things at one’s free will, the excitement of exploring the unknown at every step you take is like being reborn and full of life. Meeting new people, trying new cuisines and capturing fresh moments is the crux of traveling. What makes traveling even better is sharing these moments on the go. This is where a versatile portable wi-fi router becomes indispensable for a traveler. A pocket sized router is also a must for being online while on the go. 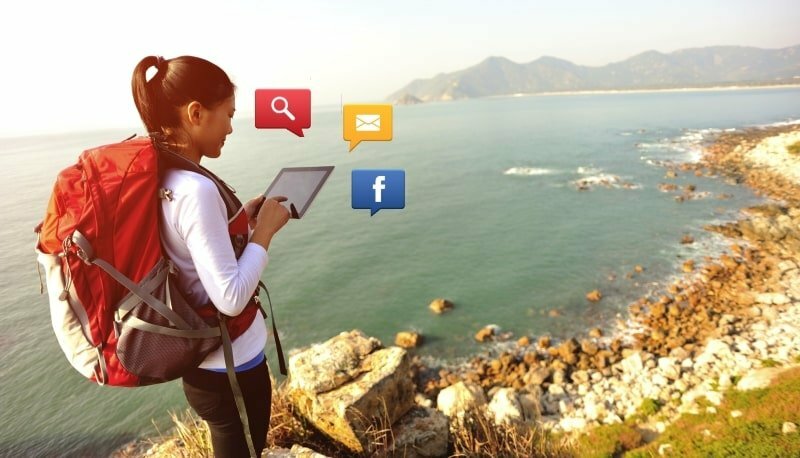 Travelers frequently use their hand held wi-fi device while traveling to check for emails, getting directions, checking hotel and restaurant reviews, uploading photos, updating status on social media, and staying in touch with those back home. Thus, having a high-speed internet is vital during one’s travel. Presented below are some of the best portable wi-fi routers that will guarantee a high-speed internet and a stable internet connection on your travels. An excellent choice to carry when traveling in groups, this wonderful piece of technology can connect with 32 devices in one go. The wi-fi router boasts of LTE-Advanced cat6 support with 300Mbps download and 50Mbps upload speeds. Furthermore, the M7450 mobile hotspot comes with a 3000mAh battery that lasts up to 15 working hours. The portable wi-fi router also has a MicroSD slot allowing travelers to store 32GB of storage. Travelers can also relax after buying this device, thanks to the 3 years manufacturer’s warranty. What also makes this hand held router standout is the device's easy management with the tpMiFi App. Ideal for a solo traveler, this frugal mobile hotspot has a one button connection that makes setting up the Huawei E5251 wi-fi router a piece of cake! Travelers can enjoy 3G high-speed internet with download speeds up to 150 Mbps. The portable wi-fi router can easily connect up to 10 devices and comes with 1-year manufacturer’s warranty. This robust & cheap device is also SIM free and works with any network. The most affordable 4G enabled portable wi-fi router to have for any traveler. This high-speed wi-fi router enables a person to access the internet on 10 devices simultaneously anywhere in the world. The TP Link M7200 mobile hotspot also comes unlocked so it can be used with any SIM card inside. Travelers get to enjoy 4G internet with up to 150 Mbps download speed and 50 Mbps upload speed. The wi-fi router is also surprisingly easily managed through the tpMiFi App. This hand held wi-fi device has a 3 year of warranty along with the latest generation 4G FDD/TDD-LTE technology. Travelers after buying this pocket device can be rest assured that this router will be compatible with the network configuration of most countries & regions. The ideal choice for travelers who desire something extra from their wi-fi routers for a reasonable price. This unlocked high-speed wi-fi router enables a user to access the internet on 15 devices simultaneously anywhere in the world. The TP Link M7350 mobile hotspot is fully 4G LTE supported and allows 150Mbps download and 50Mbps upload speeds. The wi-fi router is pocket sized and provides 1.4-inch screen display for an intuitive view of the device’s operating status. The portable wi-fi router also has a MicroSD slot allowing up to 32GB storage and comes with a 3-year manufacturer’s warranty. The WorldSIM vision is to make global communications the same price wherever you are. We aim to have one SIM that can be used worldwide, with the rates of a local SIM. With hundreds of roaming partners, we can already offer free international roaming in over 118 countries and we are adding more all the time. The success of the SIM inspired us to develop many more products and services to assist travelers when they go abroad and we are adding new products all the time.